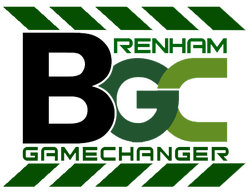 Brenham GameChangers organization has partnered with the Washington County Chamber of Commerce, Brenham ISD, and Burton ISD to connect the core values taught in each school district to the business community. The program is called the P.E.A.C.E. program through the Chamber. The Brenham HS PALS class visits with each business to help them connect the monthly value to employees and customers through marketing, social media and training. The annual membership is $50 and can be found through the button above. Ideas for businesses: Businesses serving the community is not a new thought, but training employees and encouraging employees to serve others at work and at home, choosing integrity and responsibility, building trust and compassion at the workplace are all a part of the Brenham Game Changers mission. Your business can be a part of the movement!